For most people, engaging a lawyer is a big deal – and not something they do every day. So not only are there concerns about the issue that has brought a person to a law office in the first place, but also concerns about things like costs, procedures, and obligations. The good news is that there’s nothing inherently intimidating about visiting a lawyer. After all, you’re there to engage them – and once you’re their client, their job is to do their very best to achieve the (legal) outcome you’re looking for. And despite what you may have seen on television, most family lawyers are normal people trying to do a good job. And many – but not all – will treat the first meeting as a ‘consultation’. There may be a reduced fee, and there is generally no obligation if it doesn’t feel like a good fit. 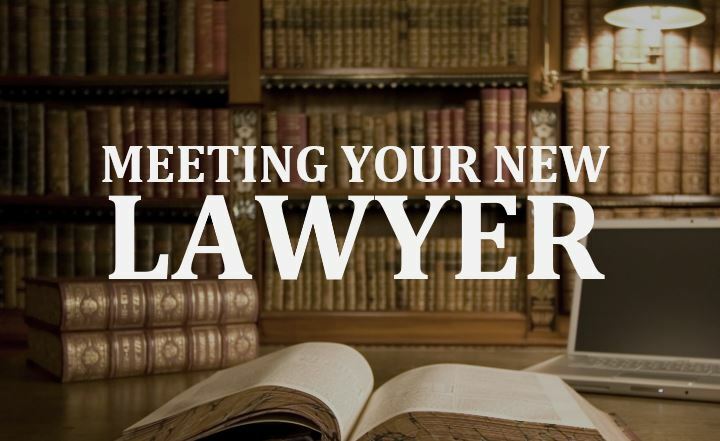 Generally speaking, before meeting you for the first time, a lawyer wants to know two things. First is whether there is a conflict of interest – whether s/he has already been engaged by someone else who is involved in your case. So the lawyer will want to know the names of the parties involved, on your side and on the other side. The second – and often more delicate – question the lawyer will want to ask is “How will I get paid?” This isn’t because the lawyer is looking for a big fee (family lawyers generally aren’t looking for big payouts). In most cases it’s because s/he wants to give you appropriate advice, and because s/he wants to ensure clients have a good understanding of the fees involved in a particular action, whether it’s for lawyer time or court filings or expenses. You shouldn’t be shy of having a conversation about costs even before you get to that first meeting – good lawyers are upfront and transparent about their fees. Lawyers in Canada require identification to engage a client, so you’ll need to bring 2 pieces of ID: A drivers license, passport, etc. (your health card is not permitted as identification). Any existing documentation relating to your case. This may include letters or filings from the other party or their lawyer; documentation of mediation if you have pursued that first; court documents that you may have filed previously, etc. but the client is always in charge. Just as no two families are the same, no two family law cases are the same. People organize their affairs differently, have different tolerance levels for conflict, and have different priorities at different stages of the process, whether they’re involved in a separation, divorce, custody, estate or other event. The lawyer’s role is to help the client. For us, that sometimes means we refer clients to other lawyers (in the case of a conflict) or to another professional (such as an accountant), or to recommend mediation rather than going straight from that first meeting to a big court case. No one should feel intimidated or anxious about a first meeting with a lawyer, because the bottom line is that the client is ultimately in charge. We find ourselves using lots of complicated metaphors to describe the lawyer-client relationship, but really what we’re trying to do is ensure clients have the best, most complete information about the law related to their issue, their options for next steps, the possible consequences, costs and outcomes. So what’s the best way to get the most out of that first meeting with a family lawyer? In our opinion, it’s by treating it like any other meeting: Give some thought to what you’re looking for, bring your questions, and then have a conversation.